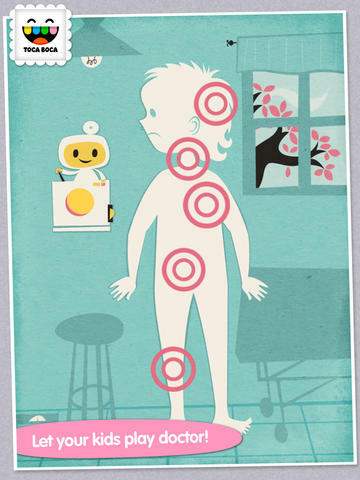 FREE for a limited time – Toca Doctor HD, another fantastic app for toddlers from Toca Boca. Kids get to be a doctor for the day with this app that introduces kids to the medical field. There are 21 puzzles/mini games in all. Kids will love the fun sounds and animations that accompany the tasks! If your child likes the other Toca Boca apps, you’ll want to add his one to your collection today because these apps do not “go free” that often. This is another great app from a developer that makes learning what it should be – fun, creative, and joyful!